It is Ideal for creating educational whiteboards such as music staves, literacy lines and even sports boards. It easily converts your standard whiteboard into a planning board, a progress board, an In-Out board or simply use to section off area's for different topics, departments or functions. 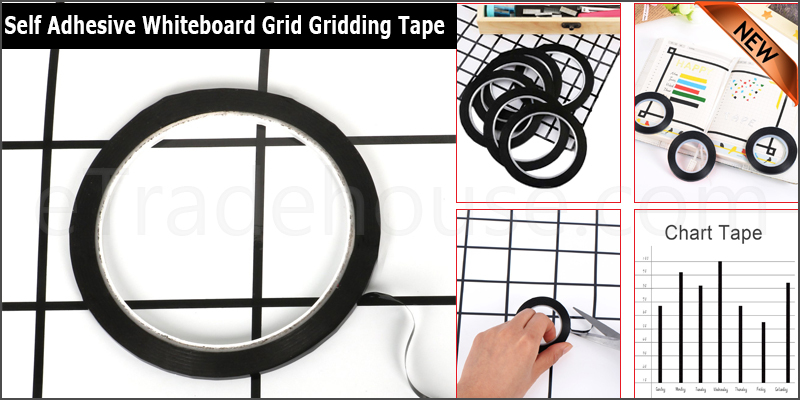 Ultra-thin gridding tapes can also work as craft tapes, such as creating lines on your scrapbooks, journals, paper crafts, fashion designs, all depends on your artistic mind. They are easy to install and remove, and they will not leave any residue when removed.